After saving Faelen from Draewulf, Nym finds herself without her special Elemental powers and finds her love, Eogan, has been possessed by Draewulf. As the new king of Bron, Draewulf (as Eogan) has more influence than Nym is willing to allow. She finds a way to travel with a group of delegates from Faelen to monitor and try to stop Draewulf as he returns to Bron. When Nym forms an alliance with Lord Myles who promises a way to unlock more power and free Eogan from Draewulf’s power, she opens a door that may require more from her than she could even imagine. Can Nym discover a power that will give her the strength to save the man she loves and prevent Draewulf from gaining more power? 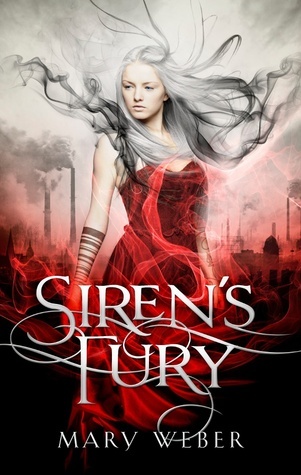 I really enjoyed the first book, Storm Siren, and was excited to read the second in the trilogy since the first book ended on a cliffhanger. Nym is such an interesting character and I really enjoyed the glimpses into her inner thoughts and her journey to finding her powers. As much as I enjoyed the continuing saga, I didn’t feel this book was as gripping as the first. It was good but it wasn’t like I couldn’t put it down. I still recommend the book to anyone who enjoyed the first in the series and enjoys a good young adult story with fantasy and magic.